Vaillant has unveiled a new nationwide campaign designed to provide installers with the expert advice and support they need to help grow their businesses. 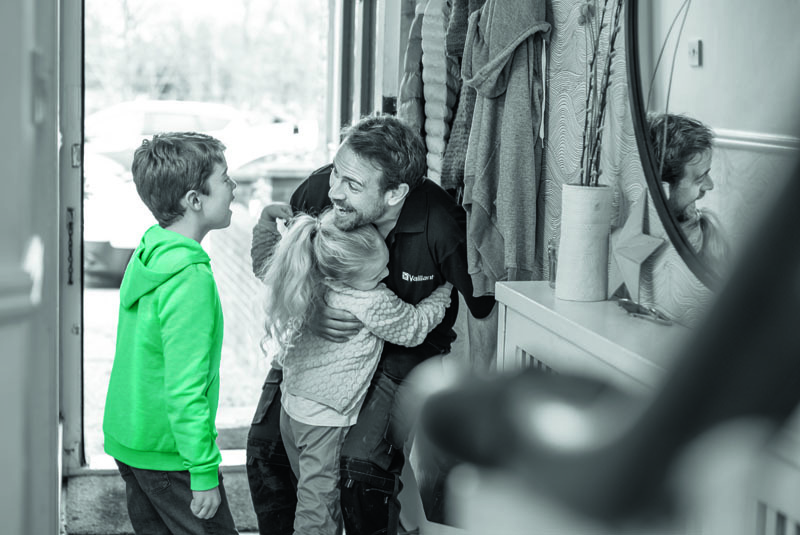 Part of Vaillant’s long-term strategy to become the number one business partner for installers – which includes ongoing, lead-generating TV advertising – the campaign reinforces the company’s mission to support its customers above and beyond the traditional remit of a manufacturer. At the heart of the initiative are nine flagship Business Support Clinics, which will be held at Vaillant’s seven Centres of Excellence across the UK, along with two additional locations in Ireland and Hatfield. These events will provide business development advice specifically for installers, with experts such as industry platform Checkatrade, business management specialist Powered Now and global marketing agency Saatchi & Saatchi on hand to supply one-to-one guidance to attendees. The Business Support Clinics will commence in the summer, with dates to be released in due course. Supporting these events is a 100-date merchant tour, which will see Vaillant’s iconic green VW campervan travelling around the country offering installers the chance to sign up for the Business Support Clinics. Visitors to the tour will access exclusive giveaways and offers, as well as the chance to win a trip for two to Barcelona and an entry to win one of two branded VW T32 vans worth £30k each. Installers can also pick up a copy of Vaillant’s specially developed ‘Little Book of Business’ both on the tour and at the Business Support Clinics. The Book of Business includes handy recommendations and tips on everything from branding and customer service to winning work and wellbeing, with specialist advice from the Business Support Clinic speakers. Alice Woolley, Director Of Marketing at Vaillant, comments: “At Vaillant, we are continually looking for new ways in which we can add value for our installers, and this campaign is all about going beyond the box, supporting their businesses with tailored resources and expert business guidance. Previous : Win a van with Wirquin!